Coach, Inc. is an American leather goods company known for ladies' and men's handbags. During the last decade, Coach has emerged as America's preeminent designer, producer, and marketer of fine accessories and gifts for women and men including handbags, womenï¿½s and menï¿½s small leathergoods, business cases, weekend and travel accessories, outerwear, scarves, jewelry, fragrance and related accessories. Continued development of new categories has further established the signature style and distinctive identity of the Coach brand. Together with their licensing partners, they also offer watches, footwear, and sunwear bearing the Coach brand name. 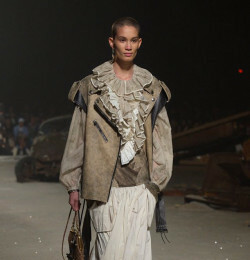 Coach was founded in 1941, in a loft in Manhattan, New York. When it originated, Coach was called Manhattan Leather Bags. Manhattan Leather Bags began as a family-owned business, with six leatherworkers who made small leather goods, such as wallets and handbags. In 1946, Miles Cahn and his wife Lillian joined the company. Miles and Lillian Cahn were owners of a leather handbag manufacturing business, and were knowledgeable about leatherworks and business. By 1950, Cahn had taken over the business and was running it mainly himself. The workers continued to manufacture small leather goods, like wallets, for small profits into the 1960s. In the 1960s, Cahn did further research on leather and discovered a very complex method for processing leather to make it strong, soft, and durable. At the suggestion of his wife, a number of women's handbags were designed to be more affordable. The purses got the brand name Coach in the 1960s. Coach women's handbags were made out of sturdy cowhide, which was of much better quality than the thin leather pasted over cardboard material that was used to make other handbags at the time. This catapulted Coach to a prominent standing among high quality leather products. During the 1960s, Cahn hired Bonnie Cashin to work for Coach. 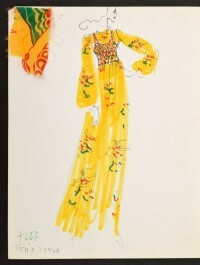 Cashin was already a well-known fashion designer prior to joining Coach; however, this deal proved to be one of her most well-known business alliances. Cashin worked for Coach from 1962 until 1974, and revolutionized their product design. Business was strong throughout the 1970s and 1980s. Products were in high demand, and under a new vice president for special products, Coach had started a mail-order business. They had also owned specialty stores, and began to sell Coach bags outside of department stores. Sales increased, and soon demand was greater than the supply. Eventually, Coach would restrict sales to hand selected vendors. In 1979, Lew Frankfort, Coach's current CEO, joined the company as vice-president of business development. In July 1986, Coach was sold to Sara Lee Corporation for $30 million dollars. Sara Lee took over the factory, the 6 boutiques, and its main store on Madison Avenue in New York City. Shortly after, new boutiques were opened in Macy's stores in New York and San Francisco. Additional Coach stores were under constructed in Denver and Seattle, and similar boutiques were to be opened in other major department stores later in the year. Coach also opened mall storefronts in New York, New Jersey, Texas, and California. By November, the company was operating 12 stores, along with nearly 50 boutiques within larger department stores. Coach Inc. currently has distribution, product development and quality control operations in the United States, Italy, Hong Kong, China and South Korea. Coachï¿½s distribution strategy is multi-channel. There are currently over 400 Coach stores in the United States and Canada, with more slated to open this calendar year. 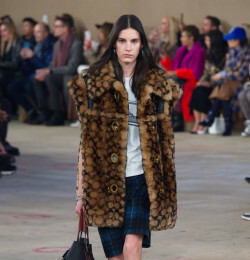 In addition, Coach has built a strong presence in the United States through Coach boutiques, that carry full Coach collections, including women's footwear, men's briefcases and the new jewelry line, located within select department stores and specialty retailer locations. Six are located in New York City and two in Hawaii. Other locations are in East Hampton, NY, Philadelphia, Nashville, Atlanta, Houston, Boston, Los Angeles, San Francisco, Palo Alto, Scottsdale, Seattle, Washington D.C., and Westchester County, New York. In 1999, Coach launched its online store at www.coach.com and evolved it into an important sales channel in the United States, and an effective marketing and advertising vehicle for Coach both domestically and abroad. While Coach continues to be one of the most recognized accessories brands in the United States, its long-term strategic plan is to increase international distribution and target international consumers. Through Coach Japan, wholly owned by Coach since 2005, the company leverages a large growth opportunity in this important market for imported handbags and accessories. Similarly, the Company acquired its retail businesses in Hong Kong, Macau and Mainland China in 2009. 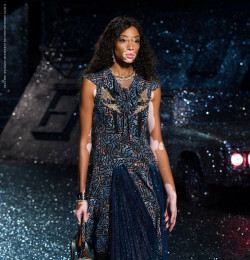 As this emerging market rapidly grows, the Coach brand enjoys increased recognition. Intent on maintaining a consistent brand strategy domestically and abroad, this ownership structure provides Coach with complete control of its distribution in Japan and China. 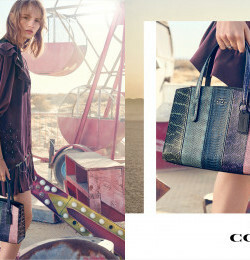 With a global vision in place, Coach is available at over 900 department store locations in the United States, 159 international department stores, retail stores and duty free shops in over 20 countries, 155 department store shop-in-shops and retail and factory stores operated by Coach Japan, and 28 company-operated locations in China. 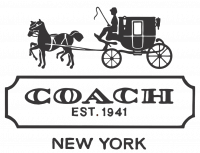 Coachï¿½s corporate headquarters remain in midtown Manhattan on 34th Street, in the location of our former factory lofts. Coach is a publicly traded company listed on the New York Stock Exchange, traded under the symbol COH.